A salt tide hit Shanghai on Wednesday, two months later than usual, but it will not influence the tap water supply, Shanghai Morning Post reported today, citing water authorities. Water sample tests at Chenhang Reservoir near the Yangtze River estuary at 11am on Wednesday found more than 250 milligrams of chloride in every liter of water, indicating the tide has moved into the mouth of the Yangtze River, said the report. 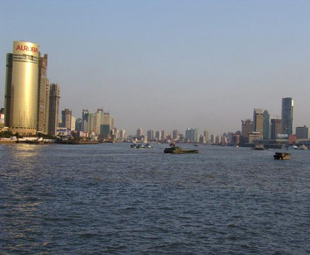 Water flow from the Yangtze dropped to 13,000 cubic meters per second on Wednesday, the report said. The density of chloride kept rising on Wednesday morning, eventually surpassing 300 milligrams a liter. Water authorities said the salt tide was not strong enough to affect Shanghai's water supply and they would monitor the situation closely. An emergency plan would be activated if needed to ensure water safety and a stable supply, according to the report.